Patawawa and Mataraybryn will grace the stage of our fifth edition, as we return to the Thousand Islands on the 14th of March. CLOSEUP and tmrw magazine, 2 leaders in emerging music and lifestyle have joined forces to create a unique live experience with some of the most exciting emerging musical talents from both the UK and further afield. 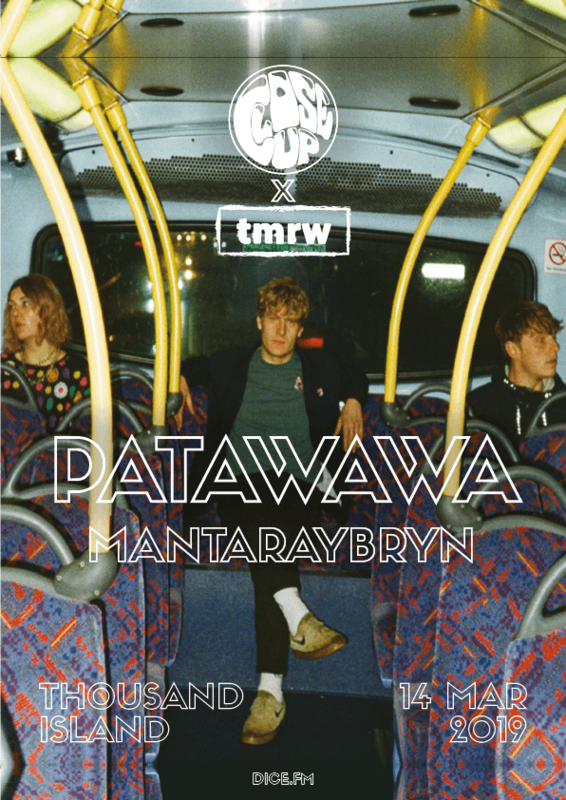 For our 5th edition, Derbyshire’s very own Patawawa and Cornwall’s Mantaraybryn will grace the stage warranting we kickstart 2019 in full swing. Out of the quiet town of Matlock come Patawawa. This electronic trio, featuring Sam Wilmot, Rory Lovatt, and Beth Garrett, blends beats to pump blood, glittered guitar riffs and basslines that bite. The three-piece have crafted a sound that stays true to the neon roots of funk and disco but dresses it with such cheekyness that could only have come out of Derbyshire. Hailing from South East Cornwall, Mantaraybryn writes music that jumps from obscure pop to electronic and dance. His self-funded debut album Dark Shapes in the Water has attracted attention from various international audiences and also BBC Introducing Devon and Wales. His upcoming EP Black Kemble has been produced alongside Oxford band Low Island and is set to provide the next chapter. Tickets are still available via Dice FM – just click here! See you there!